(MoneyWatch) So-called zombie homes are appearing on the real estate market, but they're not built to keep out the walking dead. 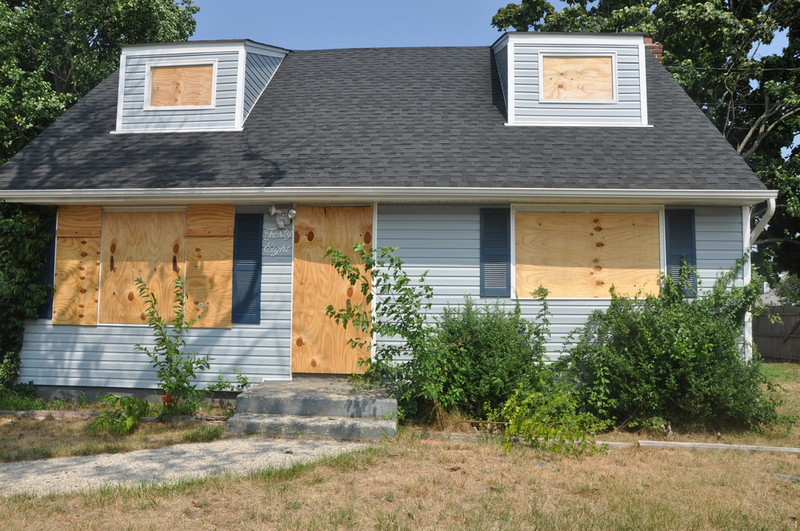 Hundreds of thousands of homes in the U.S. are now labeled as "zombie" foreclosures. That's when the owner of a foreclosed home leaves only to find out years later that he or she still legally owns the home and is on the hook for property taxes and other fees. Such cases occur in more than a third of foreclosures, industry figures show. In a typical foreclosure, the bank takes possession of the home and title, then auctions it off to the highest bidder. But when foreclosures soared after the 2008 housing crash, banks had trouble unloading certain properties. So to save on the taxes and other costs associated with seizing a home, the banks never officially foreclosed on these properties. That leaves the former owner with the legal obligation to pay those expenses. Although it's hard to quantify exactly how many homes fall into the category, real estate information company RealtyTrac says that, in the first three months of the year, roughly 302,000 homes qualified as "zombie" properties because the owner has moved out, but the bank has not yet taken possession. Most of these homes are located in Florida, where RealtyTrac identified some 91,000 zombie properties. Distantly, Illinois had nearly 32,000 such foreclosures, and California had roughly 29,000. Although they had fewer such cases in total numbers, Indiana, Kentucky, Maine, Nevada, Oregon and Washington have the highest percentages of zombie foreclosures at 50 percent or more. This is the first time RealtyTrac has tracked these properties, so it's hard to tell if they are a growing trend, or simply one that was recently identified. According to Steve Cook, co-publisher and managing editor of Real Estate Economy Watch, a real estate information site, lengthy foreclosure processes are largely to blame for these problematic foreclosures. "In judicial foreclosure states like Florida and Illinois, the top two states on the zombie list, it takes an average of 62 months -- more than five years -- for a foreclosure to clear," he said. "That's almost twice as long as in a non-judicial foreclosure state, where it takes 34 months, or nearly three years." In a zombie foreclosure, the owner of the property typically receives a foreclosure notice and moves out, only to be hit with property taxes years after the home was abandoned because the bank never took possession. That unpaid debt can destroy the owner's credit score, which was already hurt by the foreclosure process. These abandoned homes also pose a danger to neighborhoods, particularly those in the process of recovering from the housing crisis. Lost in ownership limbo, these homes sit untended and are susceptible to damage, squatters and crime. "Think of it as a symptom of the final stages of the foreclosure era," Cook said. "Actually, there have been tens of thousands of homes abandoned in the past, but no one gave them a catchy name." Although the financial and emotional distress for individual homeowners facing a zombie foreclosure is obviously considerable, the impact on the broader housing market is likely to be muted, he added. "At least these homes are going to go back on the market at a time when demand for foreclosures is huge. They'll be fixed up and either sold on rented out in a matter of a few months."